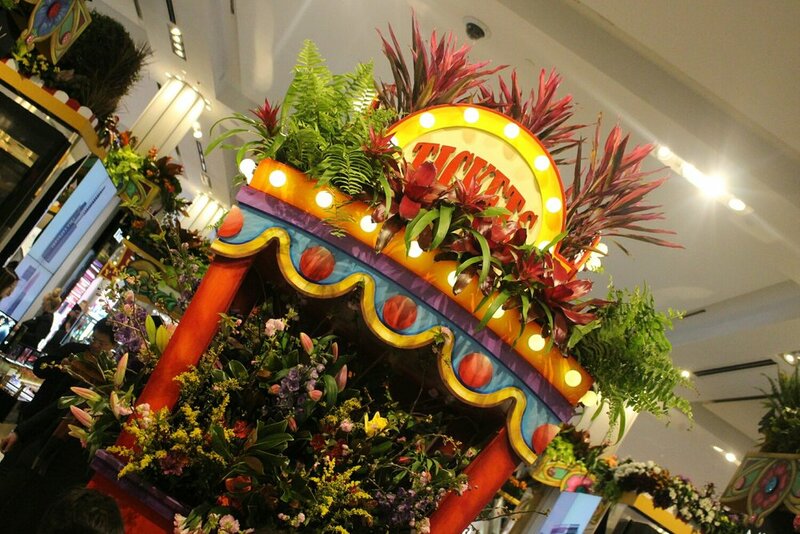 Pearls and Peanutbutter joined Macy's for their annual welcome to spring flower show.. Each year they transform the lobby with themed floral scenes and beautiful blooms. The flower show is Sunday March 26th to Sunday April 9th. This years theme is CARNIVAL! Well right in the middle of Macys was a barrel of fun...clothing optional! No need to worry there is plentyof clothing in Macy's to cover these two. Sunday April 26th was a great day to join a little spring fling floral cake workshop with Shirley Bovshow, landscape and garden designer who is on the Home & Family show on Hallmark Channel. Check out my completed floral cake! How amazing and such a great project! Thank you Shirley, we will continue to follow you on the Hallmark Channel for great landscape tips and trends!